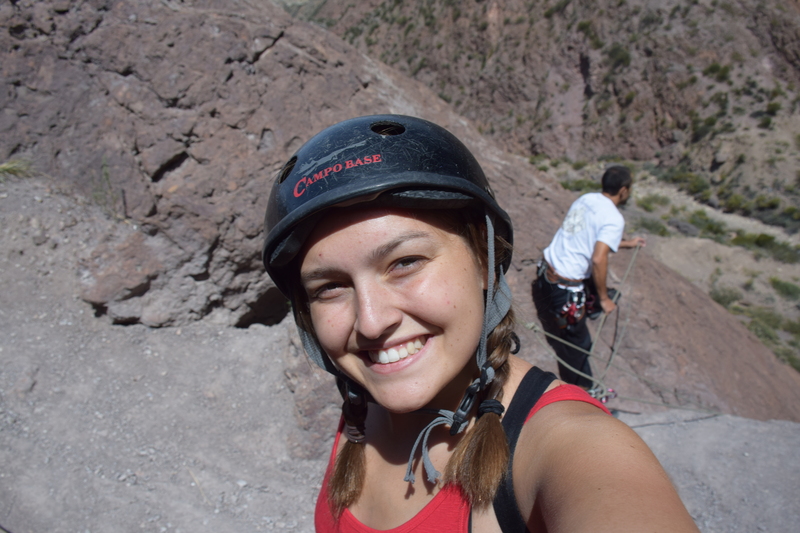 Due to a national holiday we had both Monday and Tuesday off from school last week, taking advantage of the break a few friends and I decided to set off to explore Argentina. While in the planning phase of this adventure we realized that Argentina is a really, really, big country. Transportation around the country is essentially limited to long-distance busses and planes. 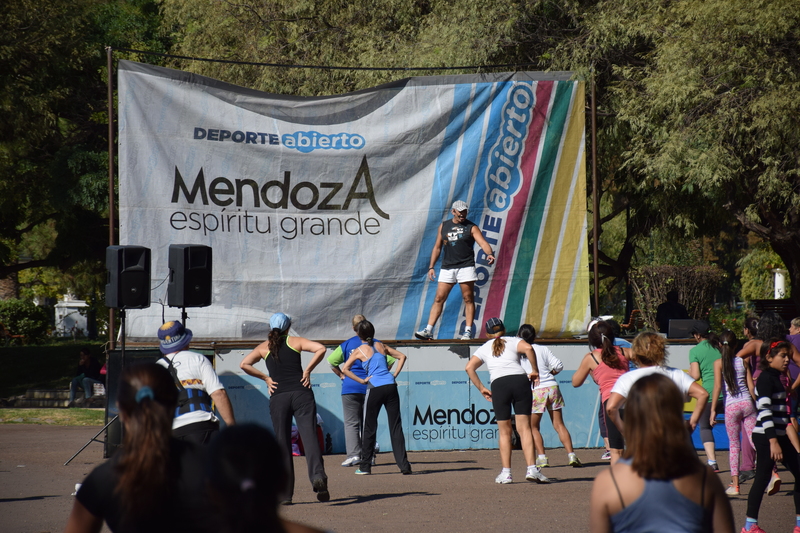 Most of the popular destinations are a 20ish hour bus ride from Buenos Aires, deciding that we didn’t want to spend that much of our precious break time on a bus, we opted to go to the on of the nearest popular destinations — Mendoza. We took advantage of the travel agency in the basement of the school and managed to get some incredible tours/adventures booked for about a third or a fourth of what the cost would have been in the US. When we arrived in Mendoza we realized that this was partially because Mendoza itself is much cheaper than Buenos Aires. 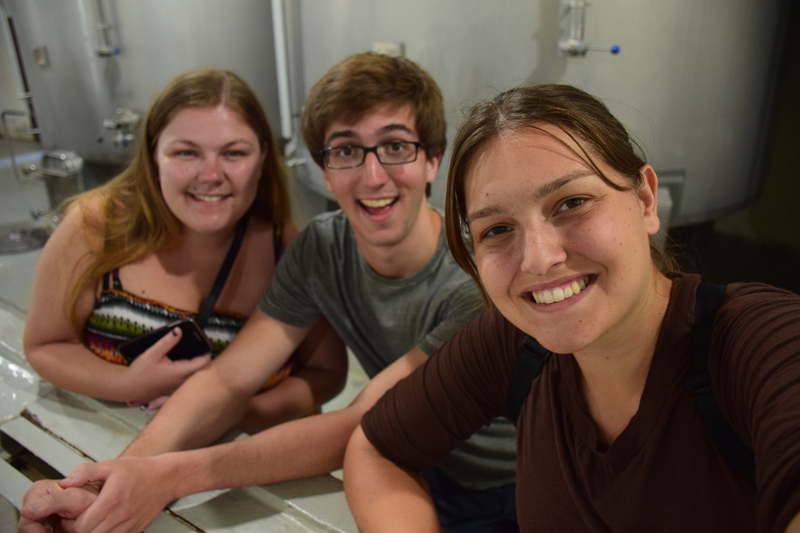 Mendoza is a good fourteen hour bus ride from Buenos Aires so we headed out after our last class on Wednesday and took an overnight bus, arriving in Mendoza just in time for a tour of some nearby wineries and an olive oil company. This was at the Lopez Winery, one of the largest in the province and rather famous throughout Argentina. Like good students, we took the tour in Spanish, practicing even while on vacation. 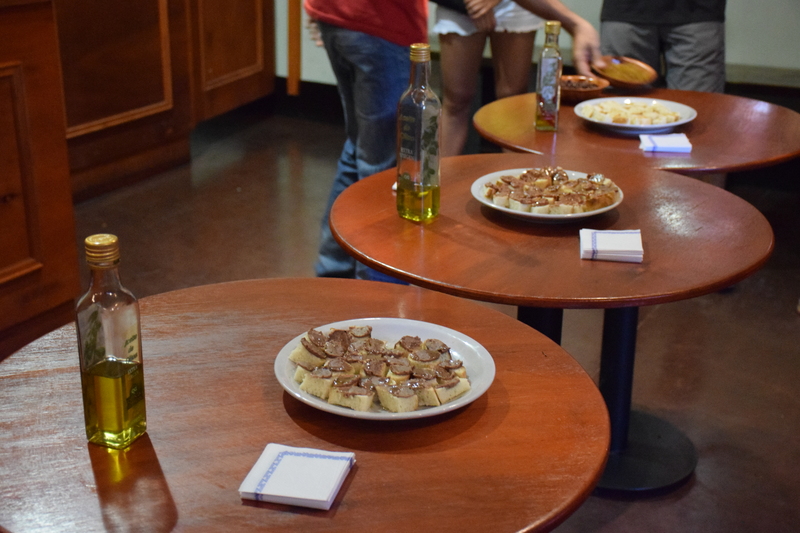 After the first winery we headed to an olive plantation and tasted their high quality olive oils and spreads on bread. It was definitely my favorite part of the tour. It tasted delicious. The second winery was a much smaller one nearby. After touring the winery they took us to the tasting room where we committed the serious faux pas of clinking our glasses in cheers before tasting the wine. We also accidentally tasted the wine too soon but that was more out of a misunderstanding so I forgave us (she was speaking pretty quickly in Spanish after all). 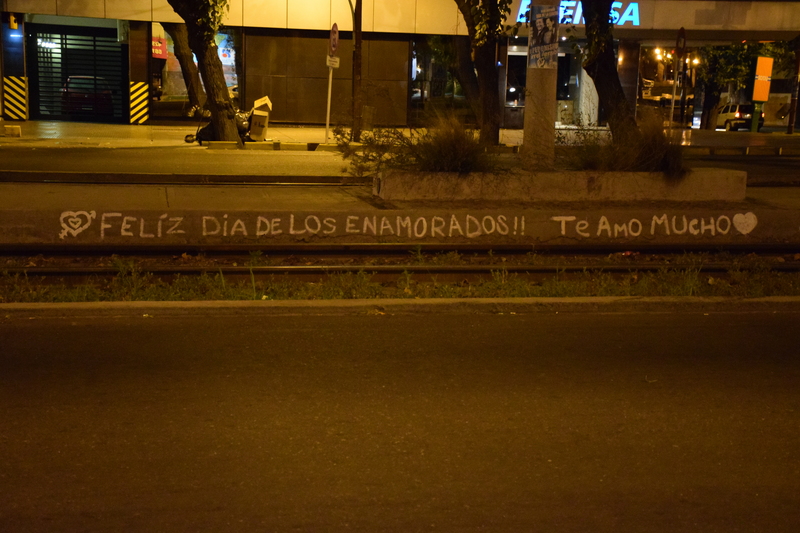 Walking around at night we saw this really sweet piece of graffiti. It’s cute enough that I figured all y’all will appreciate its cuteness too (if you don’t like cute things just scroll past it really quickly). Our second day was spent up in the Andes mountains. 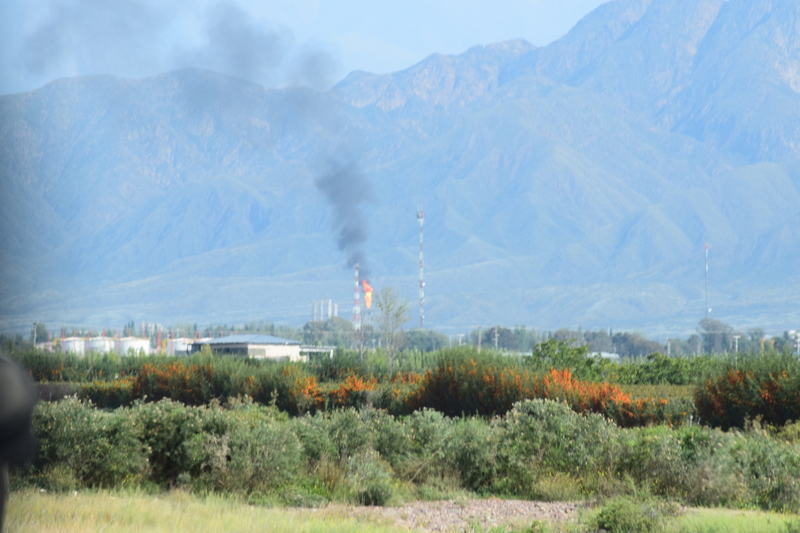 On the way we saw smoke in the sky and I took this picture with the sole intent of zooming in to see if I was correct that it was a giant refinery flare (it is) and ended up being this rather nice picture of the are around Mendoza. As part of our second day in the mountains, we began with a trek up into the hills, at the end of which we repelled down the mountainside. Our guide was skeptical of our ability to speak Spanish after we didn’t catch the first couple of things he said, so on the hike we asked him about what kind of animals we could expect to see and what kinds of minerals were in the nearby mountains. The mountains have lots of snakes, foxes, rabbits, and guanaco. I have no idea what the minerals were, lots of words I didn’t know. But he did tell me that they get 20 cm (8ish in) of rain every year but that was hard to believe because it certainly felt like we got half that in rain on our last day there. 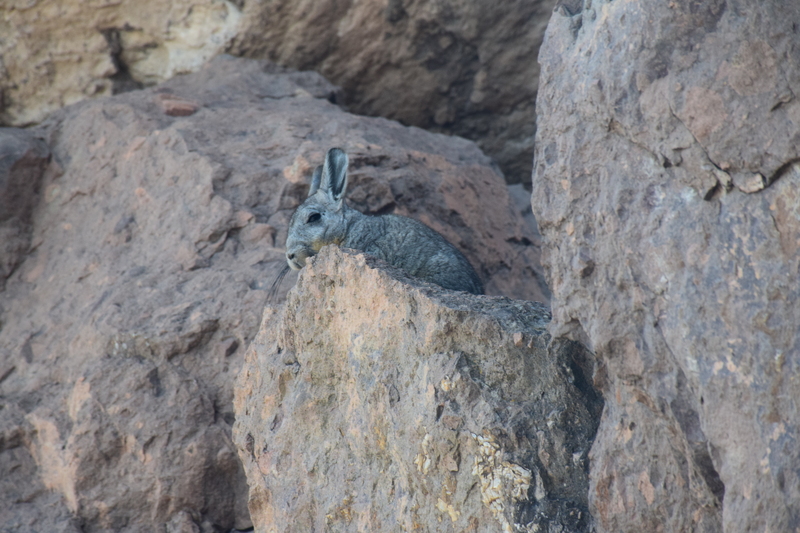 When we got to the area where we were going to repel down, we all sat and waited for the last member of our group to climb up and, when she did, she pointed out a rabbit above us, the guide corrected her saying that it was a chinchilla. I snapped a picture and then began changing lenses to get a slightly closer and nicer picture of it. As I clicked the other lens into place the chinchilla ran away. Even the guide laughed at that. 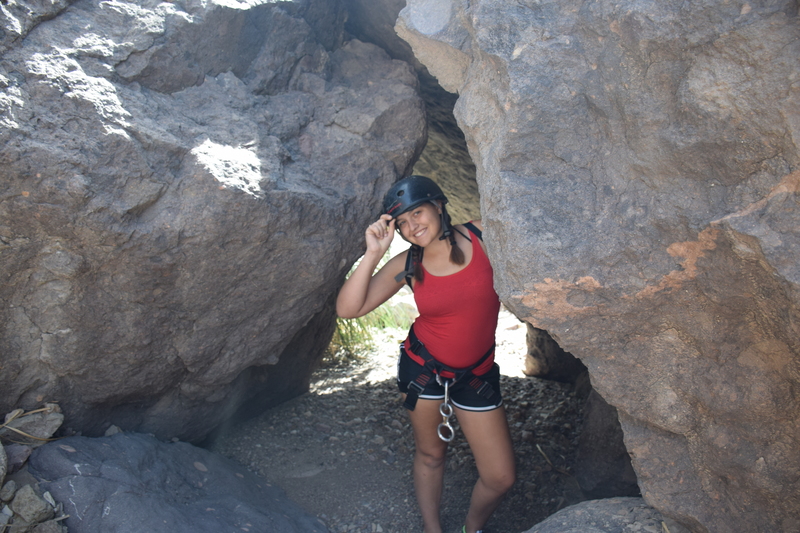 We repelled down 30 meters (100ish feet). Being quite the pro after having practiced that with my grandfather when I was little, I bounced down the hill happily. As the photographer, I also went last so I could catch pretty pictures of my friends as one made his careful descent and the other made her rather terrified descent. 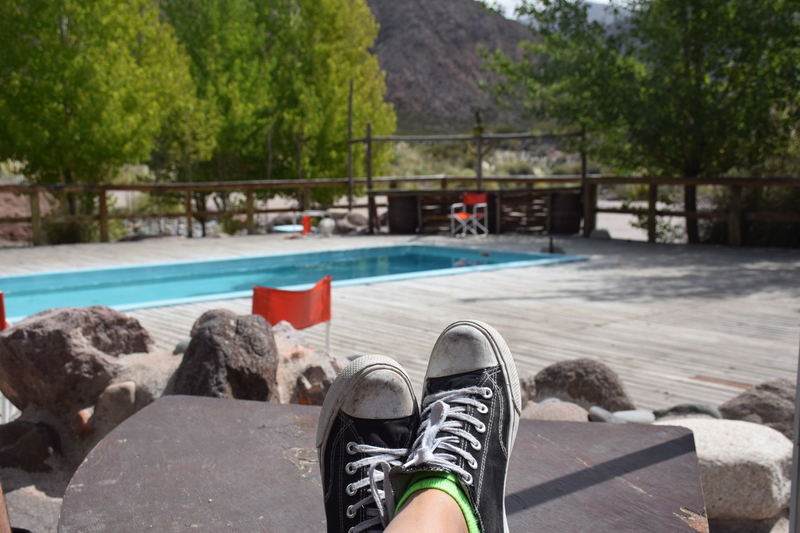 We had a break in between the repelling and the rafting so we relaxed at the base camp. We also grabbed a little bit of lunch and had a nice chat with the bartender for about half an hour about life in Mendoza. He told us he was learning to river kayak like a pro so that he could work as a safety kayak for the river rafting trips. We also met the worlds cutest little dog with many names whom the bartender called Bianca. She hung out with us on the patio while we waited. They outfitted us for river rafting in wetsuits, wind jackets and helmets so we’d stay warm on the river. After being handed my red wind breaker and life jacket, he began to search through the helmets for one for me. I requested a red one in Spanish and he laughed and handed me one. Then we headed up to the bus and we drove to a place further up the river. 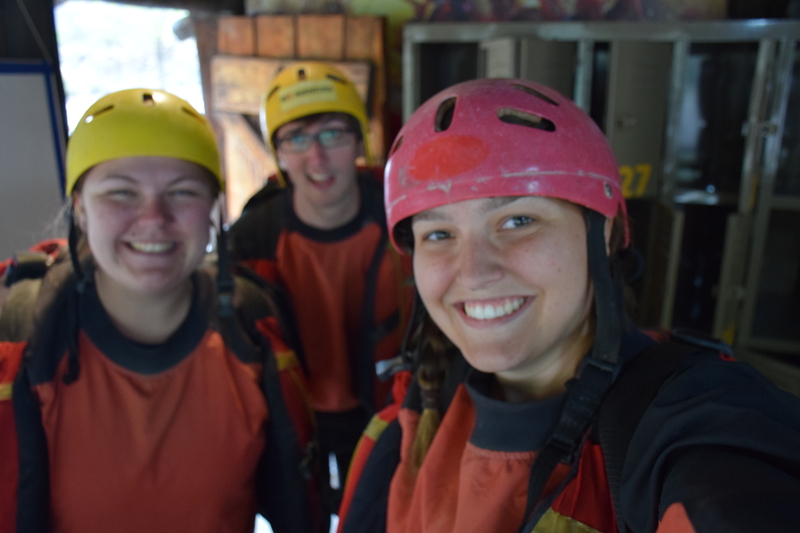 The three of us manned our raft with a guide who did his absolute best to make sure we were all sopping wet by the time we arrived back at the base camp. There’s this giant park at the edge of Mendoza. It’s figuratively half the size of the city and literally a fifth of the size. We were there on a bright Sunday morning and found a free aerobics class going on filled mostly with women. For some reason my friends didn’t want to join in with me. We continued circling around the park and found this tree growing through the middle of the sidewalk. Like the previous sidewalk, this tree has a lot of love to give and the city loves it in return, designing the sidewalk to travel in a neat circle around the tree. 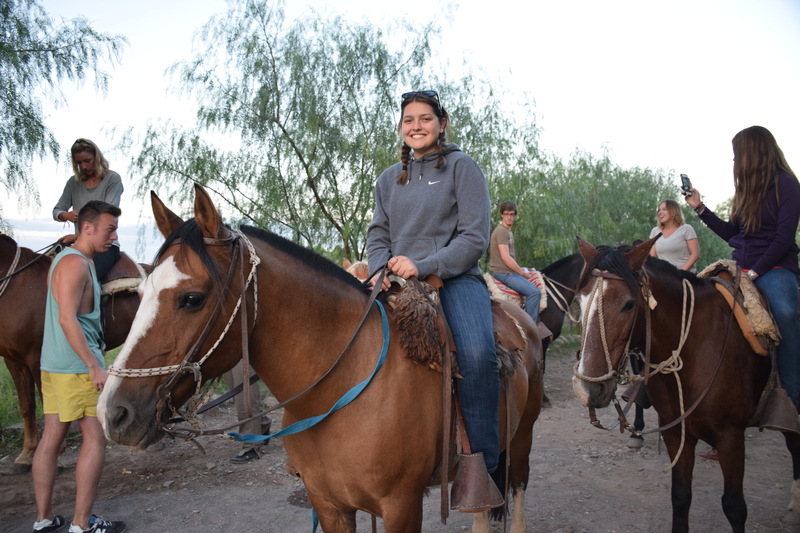 Our last fun event was a horseback ride into the sunset followed by homemade asado. The horses were incredibly well trained, and the ride itself was very different from any trail rides I’ve been on in the US. They told us how to stop and turn and then, following a leader we headed out. If we fell behind we were allowed to trot or canter to catch up, and hope we didn’t fall off. Occasionally I would stop my horse on purpose and then trot to catch up, practicing posting. I also occasionally stopped to take a photo which really pissed off my horse, all he wanted in life was to walk as close to the next horse as possible. Unfortunately, we had different end goals but I still managed to get a few nice pictures of the sunset that weren’t totally blurry. On our last day, it rained. I was cold. We set out in the morning to find the famed viewpoint at the center of the city which would give us a 360 degree view. We found it, and got a nice tour in Spanish. 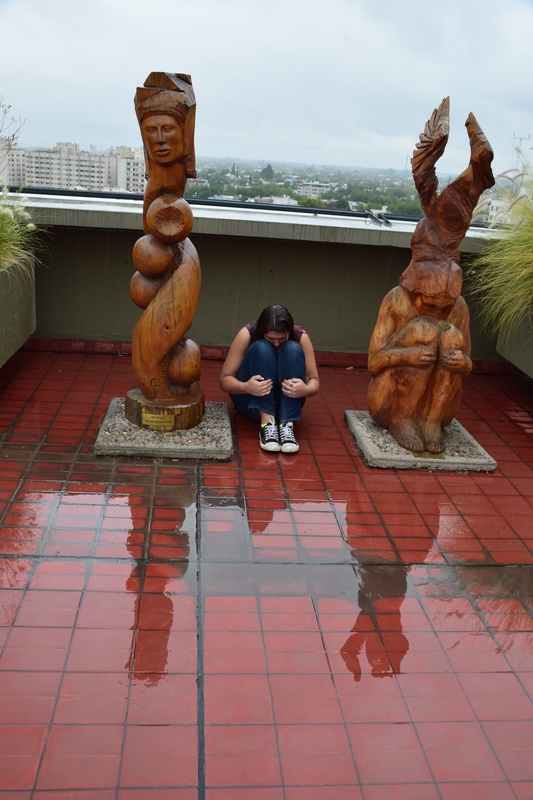 There were lots of statues and barrels at the top and, since it was pouring rain, this seemed like the adequate pose to celebrate overlooking the city in the rain. Afterwards I hunted around town for a jacket to stay a little warmer and found a nice zip up grey thing that’s super fuzzy. 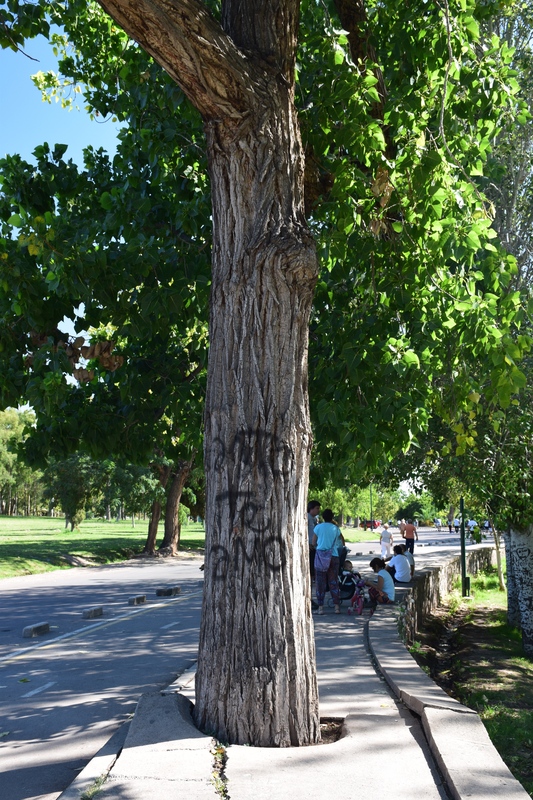 #datcitylyfe: Mendoza, like Buenos Aires, has trees lining every street. The Wikipedia article for the city claims that there are 100,000 trees in the city and I find that easy to believe. But 100,000 trees in the desert need a lot of water, luckily, one of the old indigenous tribes (the Huarpes) had a solution for irrigation, the streets of Mendoza are lined with acequias, rather deep canals that direct all of the water around the city. Because they run along the edges of the streets, they also provide water for all of the trees. Pretty smart, huh? The Huarpes tribe built these to provide irrigation to the city, thus creating a population boom for themselves like 400 years ago. In another part of the world, the Arabs brought the technology to Spain who then brought it to South America (except to Mendoza, as they already had it). All in all, Mendoza was a fun city to visit but we were all glad to return to Buenos Aires. We missed our big city with it’s easy-to-use public transportation and things to do on every block. We also missed the maniacal drivers. We’d gotten so used to dodging cars in Buenos Aires that crossing streets in Mendoza was slightly more difficult because we’d expect them to continue driving around us and instead the cars would stop. The one thing we have yet to find in Buenos Aires is a Peruvian food place that is as good as the place in Mendoza. I could eat there every day and be happy.